How Cash For Cars Companies Classify Junk Vehicles? How do you identify a junked car? Do you even know what it means in the first place? How would the leading Cash for cars Perth companies define it in their language? You don’t need to get in touch with professional junk car medics to diagnose whether your car is at the end of its life or not. 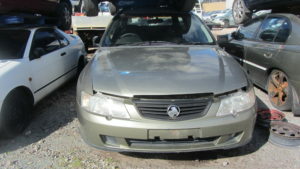 We have some insights from the leading car removal Perth companies right here that will tell you how to identify a junked car easily. It’s most definitely not a new car we are talking about and it is not just a “few” years old either. In some areas however, the car may be at least 3 or 4 years old but then even to be classified as junk it would have to be in a very bad condition. The car will be actually considered as junk if it has seriously deteriorated. If your truck or vehicle has been severely mangled or been in an accident which has left it in a condition beyond repair, it may qualify as junk. It might also be missing significant parts including tires or transmission, or the motor or windows, etc. Either you’ve forgotten this piece of information or misplaced it a long time back. You will find that a junk car often doesn’t have any essential official paperwork with it. The car is parked on the street or in your garage or in the driveway or in the backyard with absolutely no use for it whatsoever and this is quite evident. As a result of the car being broken and/or accidental beyond repair and not being in a running condition, it is obviously inoperable. The vehicle in question is not going anywhere. Period!